A review of Chin Chin Grass Jelly drink from T&T. It’s not green. Instead, grass jelly is dark, almost black. Grass jelly is made from leaves and stalks of a plant related to the mint family. Often times, it is served as a drink or even as a dessert in China, Singapore, Taiwan, Malaysia, Thailand, and Vietnam. In this drink, there was grass jelly liquid and grass jelly. It was a snack and a drink at the same time (like bubble tea). 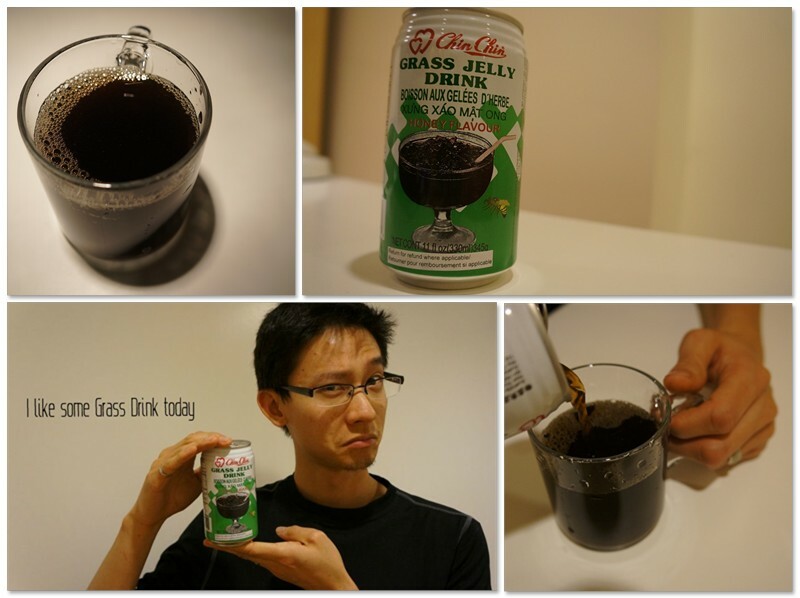 Grass Jelly – it’s hard to pour out of the can. The grass jelly is tasty, but you’d be enjoying it at the end of the can or cup if you don’t have a bubble tea straw handy. Cy… giving Zoolander a run for his money there!